Fall is here! Bring on the pumpkin spice! I love fall, but I’m always a little bit disappointed because as October hits, the farmer’s markets in my area start winding down. It gets too cold around here for much to grow and so the farmers markets get smaller and smaller each month as we get closer to winter. I love eating locally grown, fresh, seasonal produce, so each month I’ve been creating a general list of items that are in season each month. This is obviously a very general guide as things will definitely vary from area to area. If you want to know what will be in season in your area specifically, head over to the Seasonal Food Guide and put in your location! It will tell you exactly what’s in season in your area and when. But let’s get started! 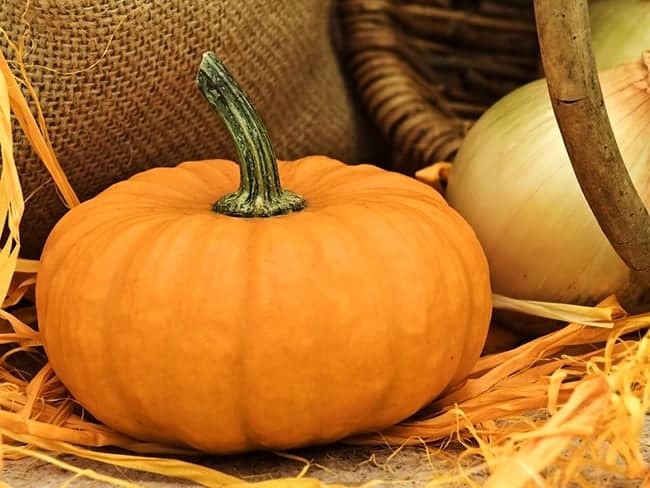 Here are some of my favorite things to buy at the farmer’s market in October! 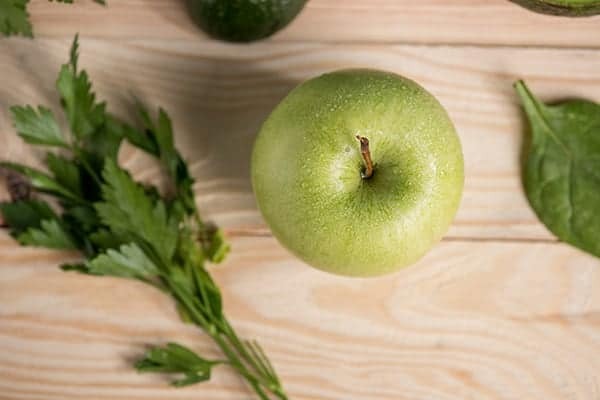 I’m pretty sure apples have been on my list every month since August when they first start showing up at the farmer’s market, but that’s because I love fresh apples so much! They just taste so good! October is when fresh apples start winding down in my area, so I stock up and eat as many as I can! And you know what fresh apples mean…apple pie! I love making homemade apple pie! Here’s a great apple pie recipe right here. And speaking of pie, how about some homemade pumpkin pie! I’ve never made pumpkin pie with fresh pumpkins before, but I’m so excited to try! 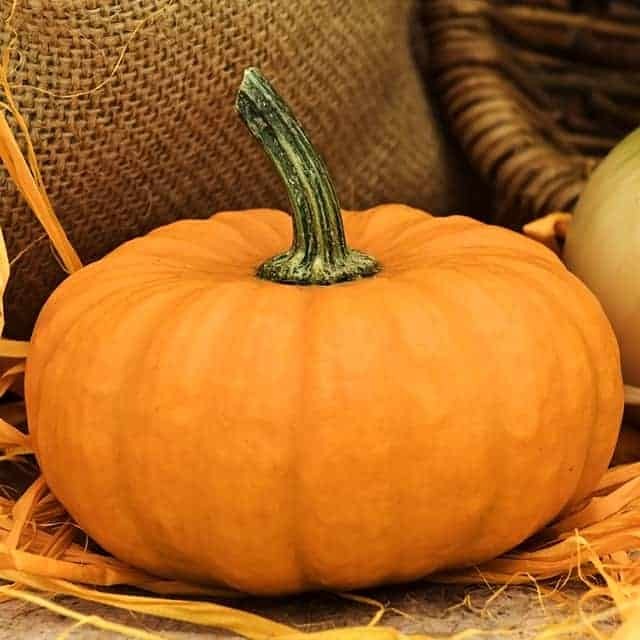 Check out this recipe for homemade pumpkin pie with fresh pumpkins here! I also love feeding pumpkins to my chickens (they love it!) so I always pick up an extra pumpkin for them. I used to HATE sweet potatoes. My only experience with sweet potatoes was the sweet potato tater tots they served in my high school cafeteria. gag. They were nasty! But once I tried sweet potatoes in soup (like this one) I realized I had been missing out! Grab some sweet potatoes this month and you can try my recipe for southern style sweet potatoes! Garlic really is a kitchen staple around here. I use garlic in a lot of my meals that I make! 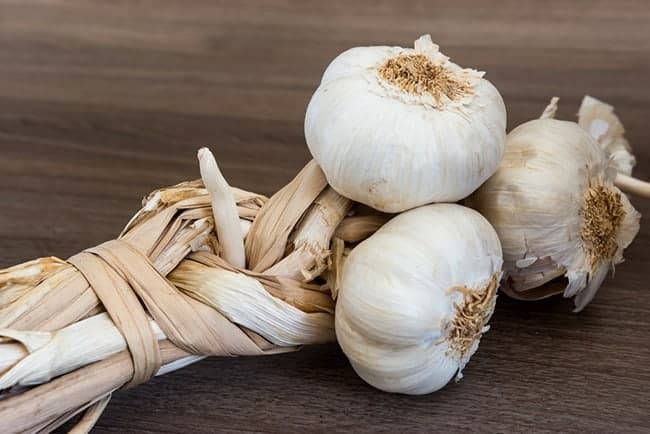 So I grab some extra and store it (check out my garlic storage tips here) so that I can have yummy locally grown garlic all year long! I’ve never had quince before, so I’m super excited to try some this year! Especially this quince jam recipe! Turnips are in season in October! I’m super excited to get some from my local farmers market, so I can try making these turnip fries! Fresh tomatoes should be starting to wind down if you live somewhere that gets chilly in the fall. In my area there are still some around in early October, so I eat as many as I can! 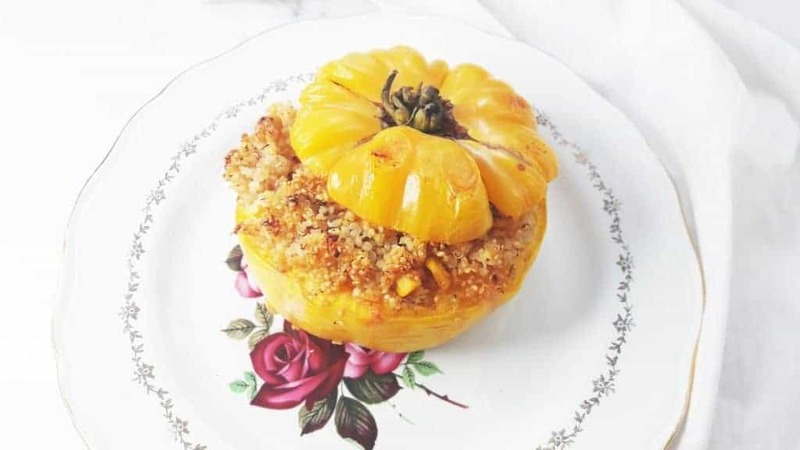 I love to use them to make these quinoa stuffed tomatoes. Rosemary is one of my favorite herbs, so I love picking up fresh rosemary from the farmer’s market! It’s a great herb for meals and I’m excited to try using it for this rosemary carrots recipe! I use mint for a lot, mint tea for upset stomachs and I put dried peppermint in my hens nesting boxes. It’s great for your hens and for you too! What is your favorite thing to buy at the farmer’s market? I’d love to hear about it in the comments!